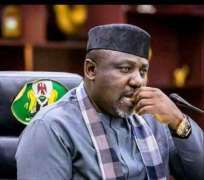 A leading pro-democracy and Non-governmental body – HUMAN RIGHTS WRITERS ASSOCIATION OF NIGERIA (HURIWA) has condemned the systematic and systemic deterioration of security in Imo state, describing the state under Governor Rochas Okorocha as a paradise for criminals from all over the country. The Rights group has particularly deplored the rising phenomenon of targeted assassinations that have heightened in this campaign period in Imo state even as the Rights group has charged the law enforcement agencies, the community leaders and the Imo state government to stop the decline in the respect for the right to life and activate constructive, comprehensive and workable measures to stop the growing incidence of crimes and criminality in the state. HURIWA which criticized the Imo state police command, the Department of State Services (DSS) in Imo state and all other military and Para-military bodies with presence in Imo state, for abandoning their statutory duties to enforce law and order, check violent crimes and encourage harmonious con-existence in the state to pursue short term financial benefits from political office seekers. HURIWA said the lacklustre approach to the security of lives and property of the citizenry by Federally controlled security agencies in Imo State makes the argument for the establishment of state police very attractive even as the Rights group charged the hierarchies of the armed security services to wake up from slumber and fight crimes with the 21st century compliant skills. HURIWA condemned the Rochas Okorocha's administration for not prioritizing security and for not acquiring sophisticated state of the art functionsl technology driven facilities for crime fighting such as drones and helicopters but asserted that the Imo state govermor has been busy chasing vain glories and building castles in the air such as the illegal purchase of a moribund and dysfunctional civilian aircraft which it leased to Dana air without legistlative approval. HURIWA spoke against the backdrop of recent suspected politically motivated assassination of Mr. Sunny Ejeagwu a council official of the All progressives Congress in Ideato North local government and a contractor and the killing by armed robbers in Nkwere of the Catholic Cleric Reverend Father Jude Egbuom who was until he was gruesomely murdered, headed the Saint Patrick’s Catholic Parish Amucha in Njaba local government of Imo state. HURIWA expressed regrets that statiscally over 900 reported cases of attacks on persons have reportedly happened in Imo state last year alone according a study it sighted from the Bireau of statistics. HURIWA, quoting the media, stated that the gunmen equally murdered a young man whose identity could not be ascertained immediately. The murdered cleric hailed from Umuwala, a village in Nkwere Community even as he was attacked around 8pm when he went to a barber’s shop on Anara-Nkwere Road in Nkwere town. HURIWA believed that the different segment of the security forces operating in Imo state have lost focus and are heavily engaged in partisan politics for pecuniary gains or are being deployed to go after soft targets such as the unarmed members and sympathizers of the Indigenous peoples of Biafra (IPOB).